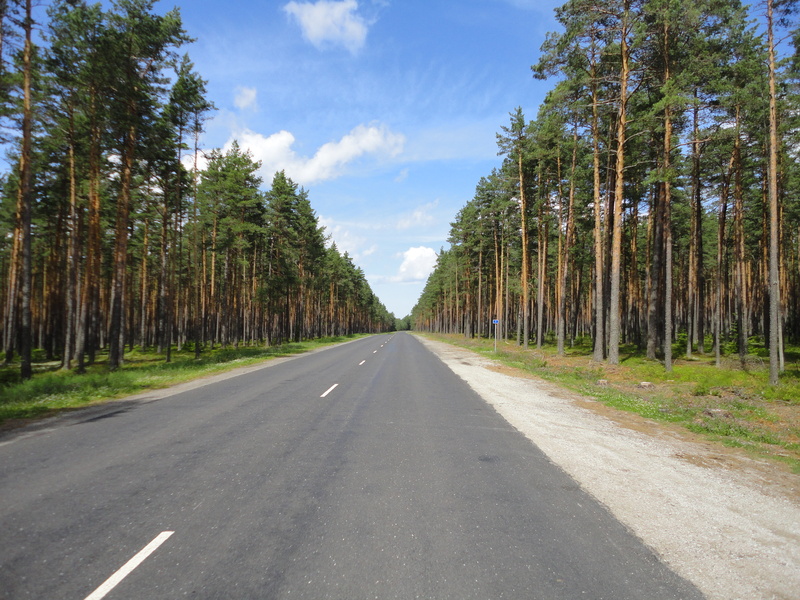 Estonia – "After all it was a great big world… with lots of places to run to." A big part of the time I spent in Europe was spent in bars. (Sorry, Mom and Dad!) But a few of the bars stood out. All for different reasons, and they’re actually all quite different from the others. But these are the places that I really enjoyed, that I made sure to go back to, and that I look forward to visiting again on the next trip. 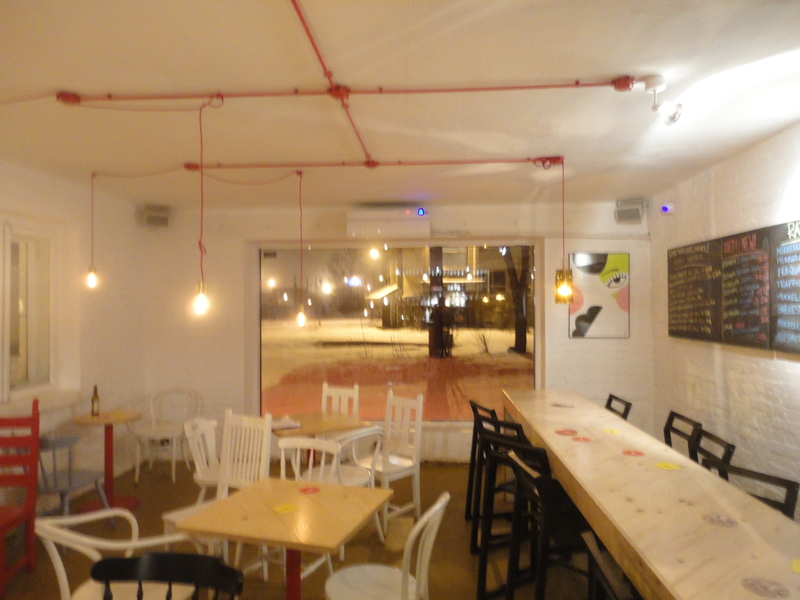 So here are a few of my favorite bars in Europe. Now, saying the Spaniard was the only thing I liked about Belfast might be a bit of a stretch. But not much of a stretch. Belfast was not one of my favorite places, but the Spaniard definitely was. Everything about it seemed perfectly set up to ensure you had a great time. It’s a small pub, definitely full a few times we were there… but worth the wait if you want to hang around for a table. The bar was covered, floor to ceiling in kitsch. 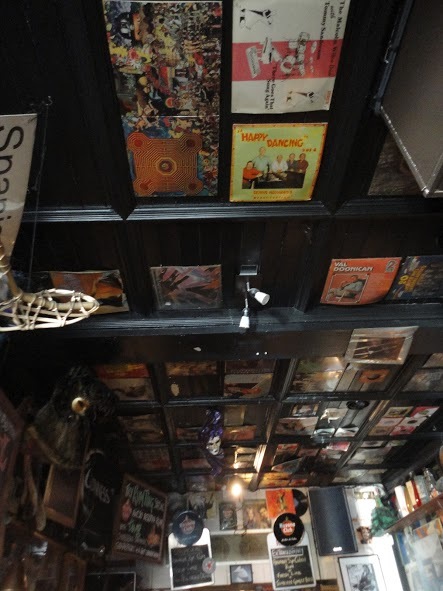 Every surface was covered in stuff, be it old album covers, retro toys, weird knick knacks… pretty much anything and everything. Really easy way to spark a lulling conversation, ‘oh hey! did you hear that album?…’ The other thing that I loved about the bar, was the music. Really eclectic, fun, ‘oh my goodness, I haven’t heard this song in forever!’ music played at a level that you could actually hear the music… but, didn’t have to shout over it. Lovely. Now, to be truthful. It wasn’t the most amazing bar for anything having to do with itself. (Though the inside of the bar looked really cool, but we sat on the terrace) I loved it more for its location, and the amazing people watching that could be had from the terrace. Located on a busy corner, surrounded by other bars, this was a place where you could kick back with an overpriced mixed drink in a trendy bar and just observe the antics of the trendy people, also drinking their overpriced mixed drinks at all the bars in the area. I suppose it sounds like a place I wouldn’t really like, but it lacked any kind of pretension and it felt really comfortable. 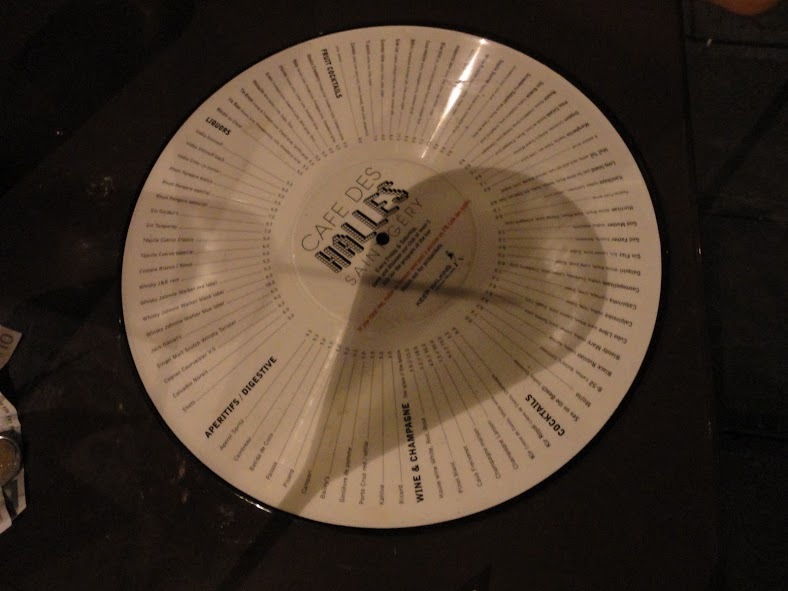 Plus the menu was on a record. Cool. And then there was Pudel Baar. 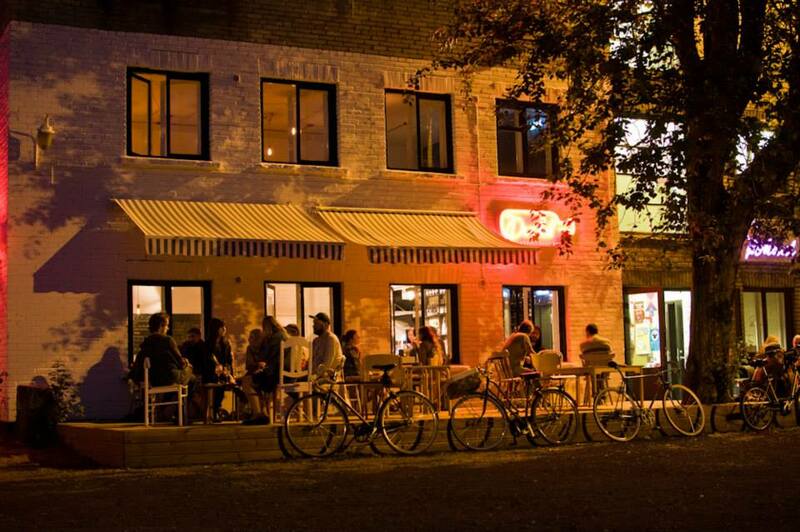 Most weekends I spent more time at Pudel Baar than I did at home. Now, a big part of what I loved about Pudel was that my friends were there. 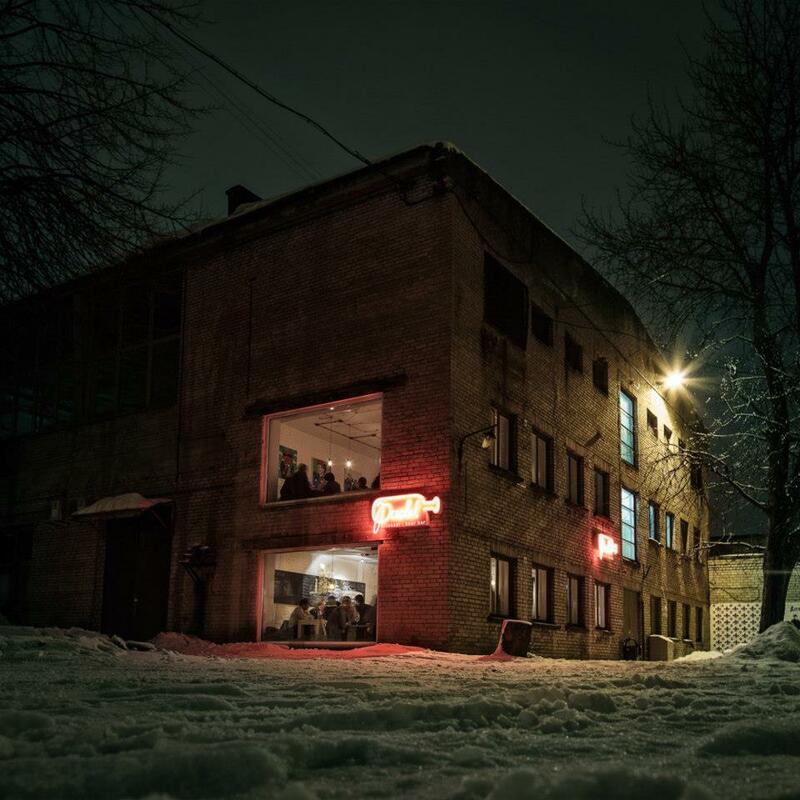 Only a few weeks into my time in Estonia, a colleague told me he was going to be opening a bar. They had just found the location. It was in an abandoned warehouse complex. And a piece of me said, ‘What the what? All the way out in the middle of nowhere… and that building… it doesn’t look so inviting…’ But just a few months later, that building had been turned into a fabulous bar in a very quickly up and coming neighborhood. Now there are many reasons that I loved Pudel. The bar staff were all super nice and really helpful in suggesting drinks. Those that I didn’t know, quickly became friends… but such is the spirit of the bar. The spirit of the bar is also beer. Beer is the name of the game here. And the beer is spectacular. I had never been much of a fan of beer. I made it through university really never drinking any. I finally caved in Prague when faced with cherry beer and beer prices lower than the cost of ordering water. But I still wasn’t a fan. Pudel bar made me a fan. With about 100 choices, there pretty much has to be something you’ll like, and once I found it, it was easy to keep trying new things. Another thing that made me head to the bar was the terrace and outdoor space. Because it wasn’t located in the middle of Old Town, there is actually enough space to move around. Many afternoons were spent on the terrace, (that gets sun all day long… which doesn’t seem possible, but is.) Sometimes we set up a barbeque to do some grilling. Sometimes we would all meet to eat pancakes. Also, they have cheese. Yum. Much fun. Mouse House; Pogradec, Albania. Mouse House was a bar owned by a friend of mine that we went to quite often. Drinks were cheap (as was everything in Albania) and the people were always really friendly. Drink Rakia, ask Mouse to play Tuna, dance around the bar- Great night! Caravan; Paris, France. Lovely little bar, with good wine. Very relaxed. It felt more like hanging in someone’s basement than a bar. But a nice basement. Not, like, a cement hole. All mismatched chairs and tables. 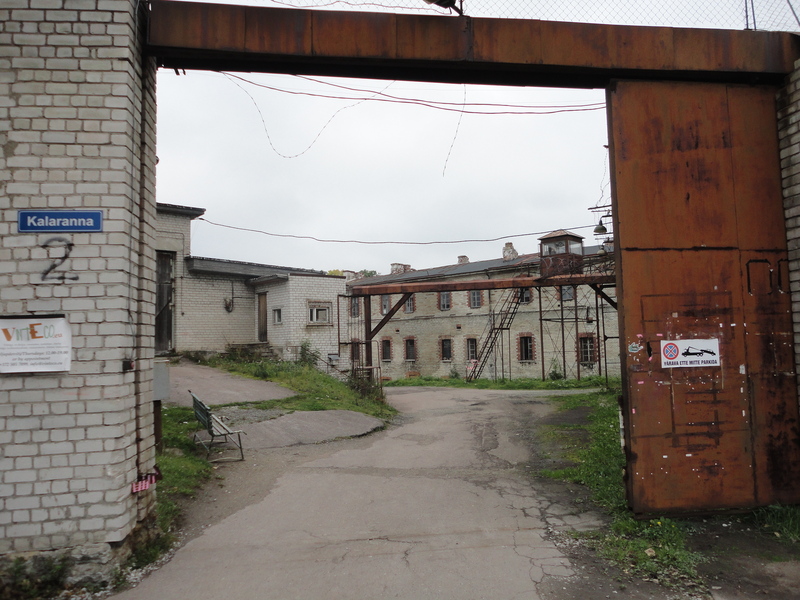 Just on the northwest corner of Tallinn is Patarei Prison. 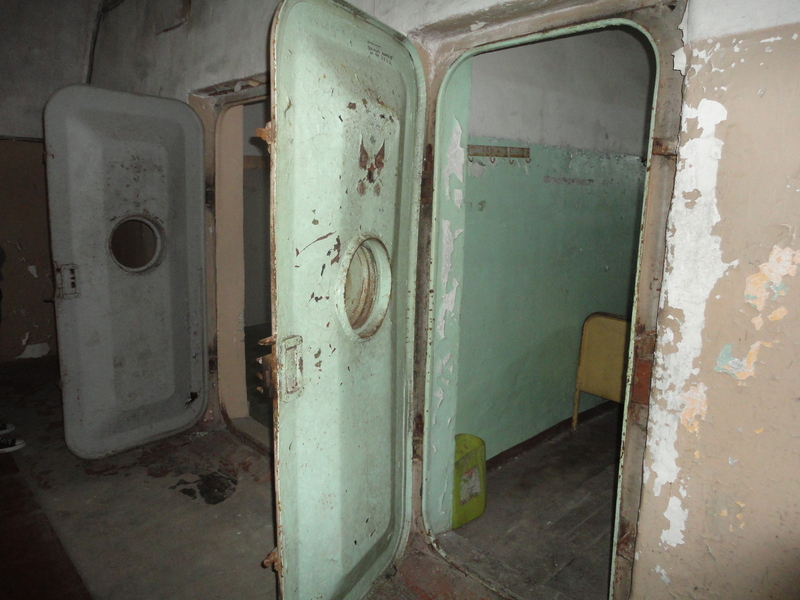 Though used as a prison as recently as 2002, it is known for being one of the most well preserved Soviet prisons. A few days ago, I went with one of my coworkers to visit the prison, rather unsure of what to expect. There is surprisingly little information to be found about Patarei. For example, there is no wikipedia page about the prison. There is a website, http://www.patarei.org/eng/ which has some basic pictures and facts, but not the wealth of information that you would think would accompany a complex with as much history as Patarei. What we found was pretty grim. It is a spooky creepy place that seems to be exactly the same as it was when the Soviets were ruling Estonia. Walking up to the prison gives you a pretty clear idea of what you’re in for. The prison itself is desolate; tall fences wrapped with razor wire surrounding land that seems to have been forgotten. The building itself huge, imposing. 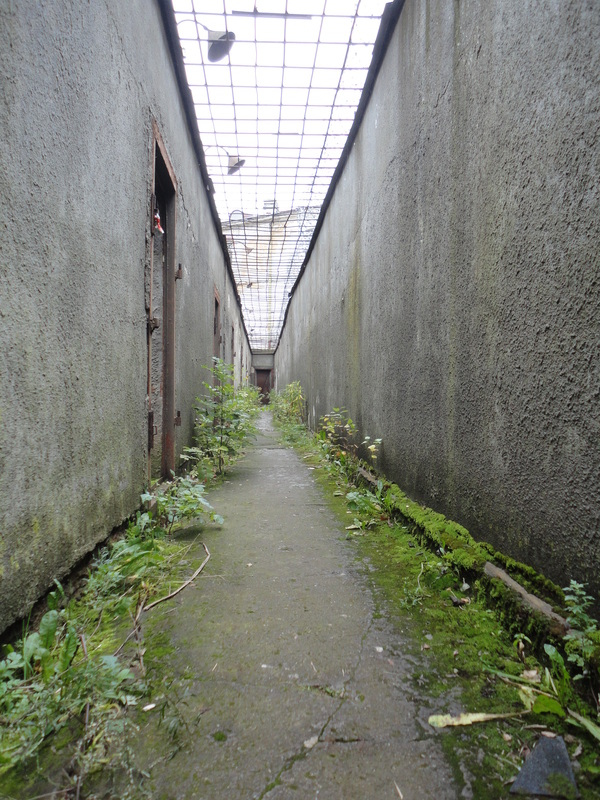 A general sense of unease fills you as you walk up to the front of the prison. Where do we go? Where’s the entrance? Why does it feel so creepy? An old Estonian lady steps out of a shed, collects our 2€ and talks us into buying a guide as well. And then points to a doorway. The first room we enter is a rather small dark room, with a hole in the floor and one small window set high in the wall. Too high to see out of, but it let in a little light. Unfortunately for us, it was a rather cloudy afternoon in the Baltic fall, so there was not much sunshine to shine through. A quick look at the guide compounded the uneasy feeling in my stomach. 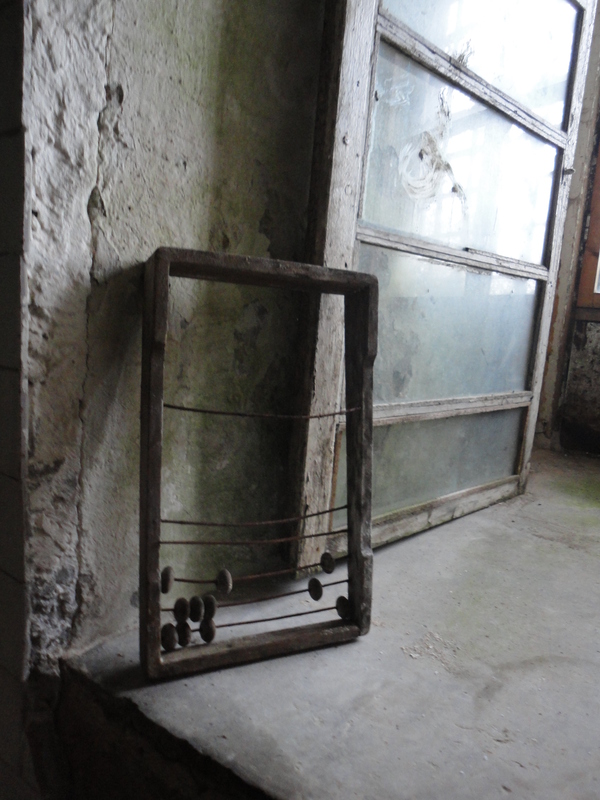 This was the execution room, where, prior to WWII, prisoners were hung. The base of the hook was still visible in the ceiling above the hole. The hole itself was just a few square feet cut into the floor, haphazardly covered with planks of wood. In just the few minutes it took us to walk into that room, I realized this prison was going to be unlike anything I had ever seen. There were no plaques on the wall detailing what we were looking at. No replica Soviet era props spread around the room to try and make it feel authentic. It was, rather, just authentic. The room was pretty bare, dirty, and not so much maintained as potentially forgotten about. 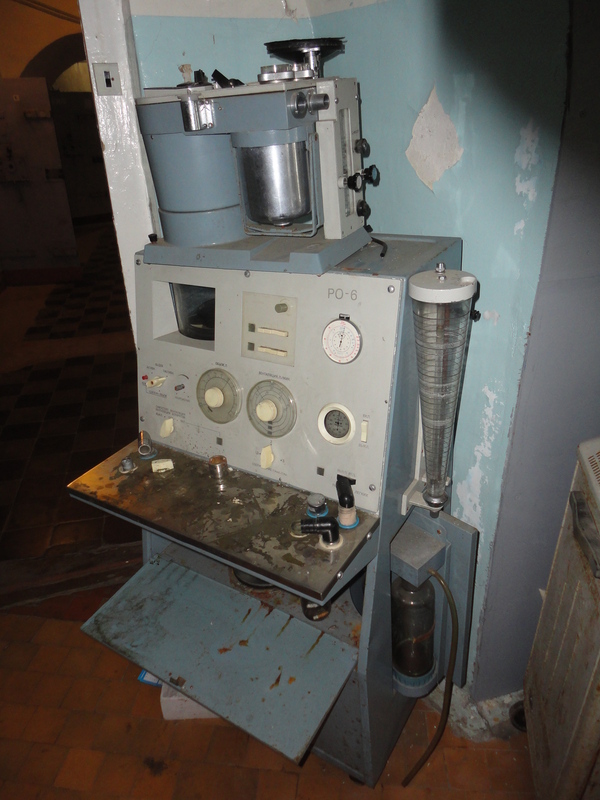 It was part soviet prison museum, part abandoned building. An overwhelming feeling of ‘I shouldn’t be here’ hit me, and stayed with me for a good part of the time I was there. 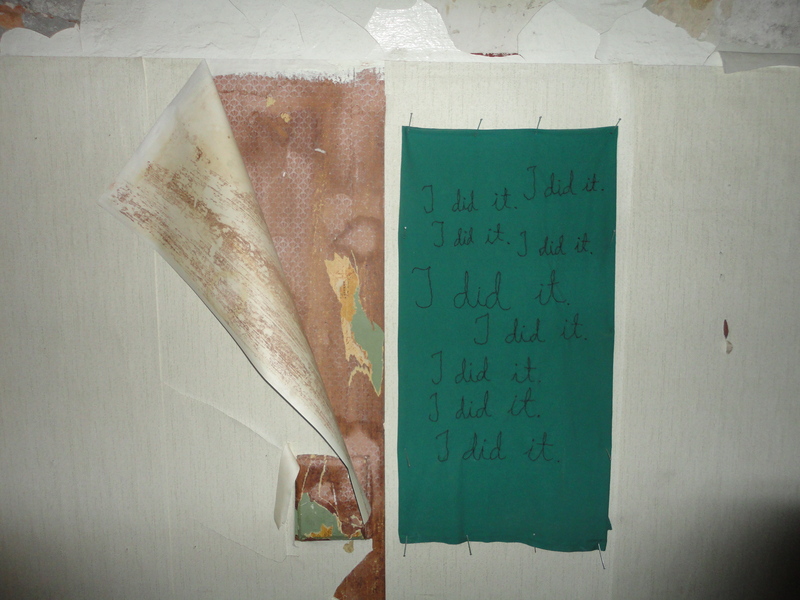 Upon leaving the hanging room, I found myself thinking that at least we had gotten that out of the way. Now I could go look at other parts of the prison, assuming those would be a little less… grim. Unfortunately, prison life at Patarei was not much better than that cold room. Next up were the walking yards. Seemingly the recreation area would be the least oppressive of all the areas of the prison. Not so in Patarei. The walking yards were small courtyards surrounded by tall cement walls. There were about a dozen of them, all in a row. 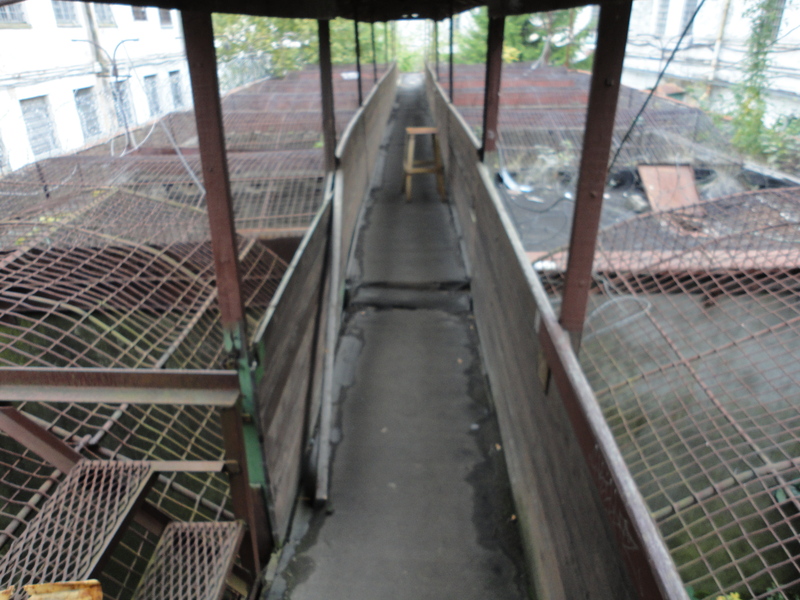 All open air tops, covered by bars and fencing. A walkway along the top where a guard could monitor everyone. It was one of the least recreational places I had ever seen. The cells in the prison were surprising. First, I was surprised by how large they were. These cells were at least twice the size of my most recent apartment. Not so bad as cells go, I suppose. 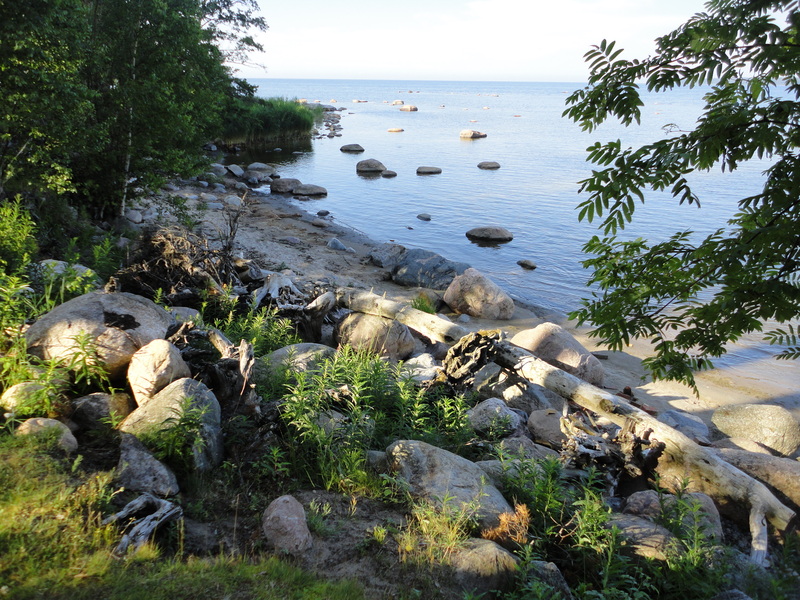 Many of them were also sea view, as Patarei is directly on the shore of the Baltic sea. (It was a sea fortress before it was a prison) However, a quick check of the guide book changed my feeling about the cells. Yes, they are large… but they also used to hold around 30 people each. 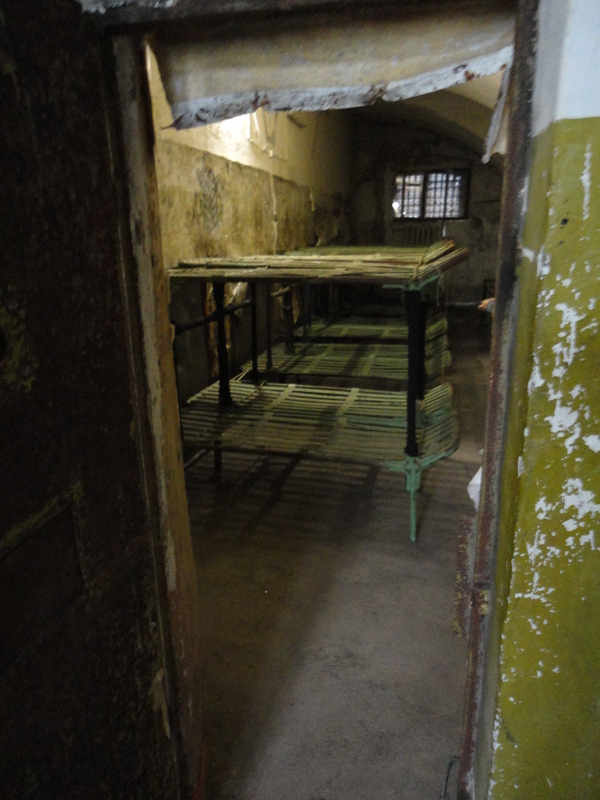 One cell still had the beds in it, and it was wall to wall beds with just a small walkway. 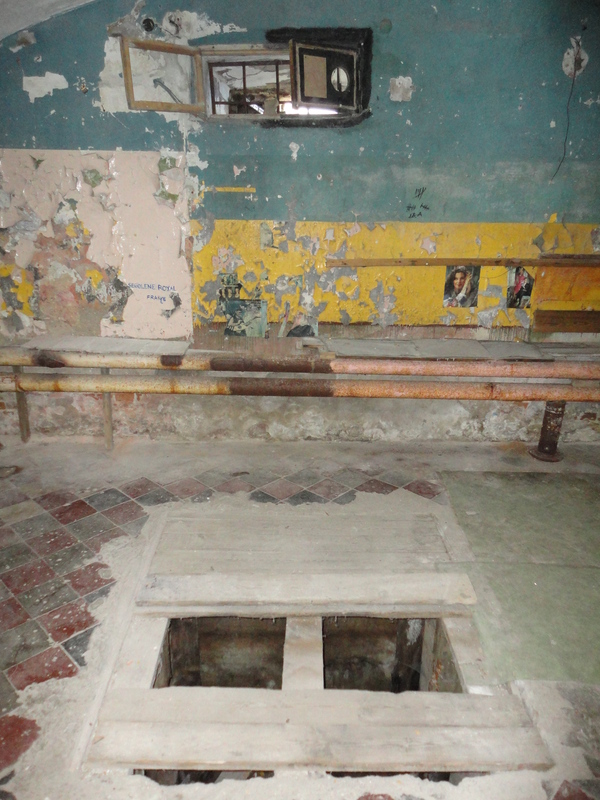 Also, one squatter toilet was in the corner of the cell. One toilet- 30 people, and you can’t even leave the room. 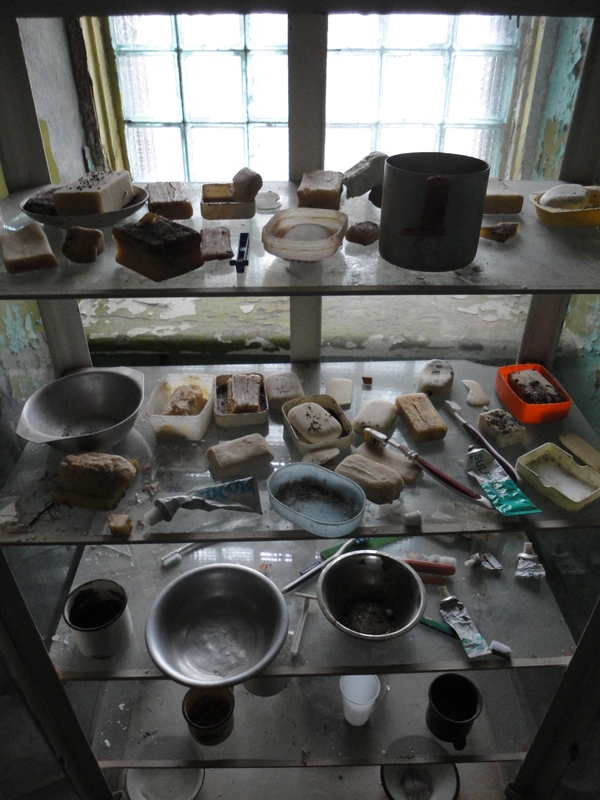 One of the cells at the prison. 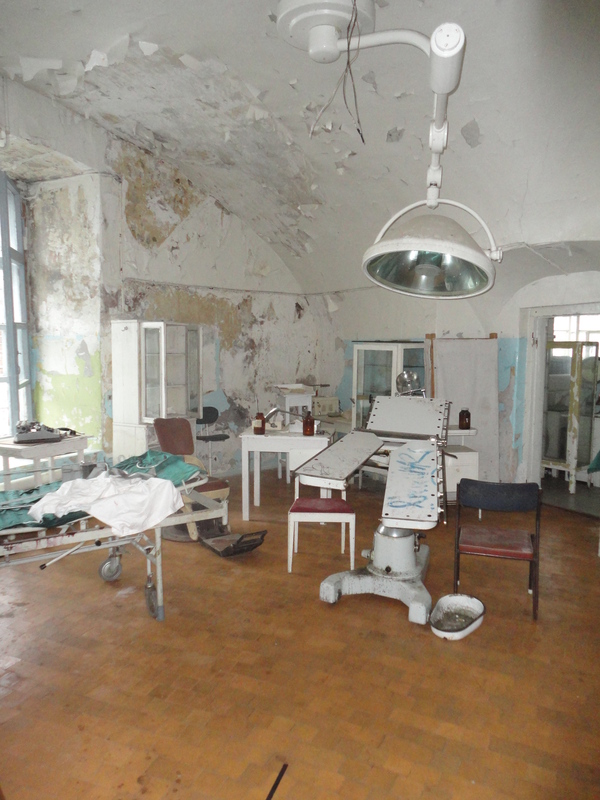 The medical instruments were a little intense, but overall the operating rooms and hospital rooms were by far the least creepy places in the whole prison. By far. Possibly some type of respirator? 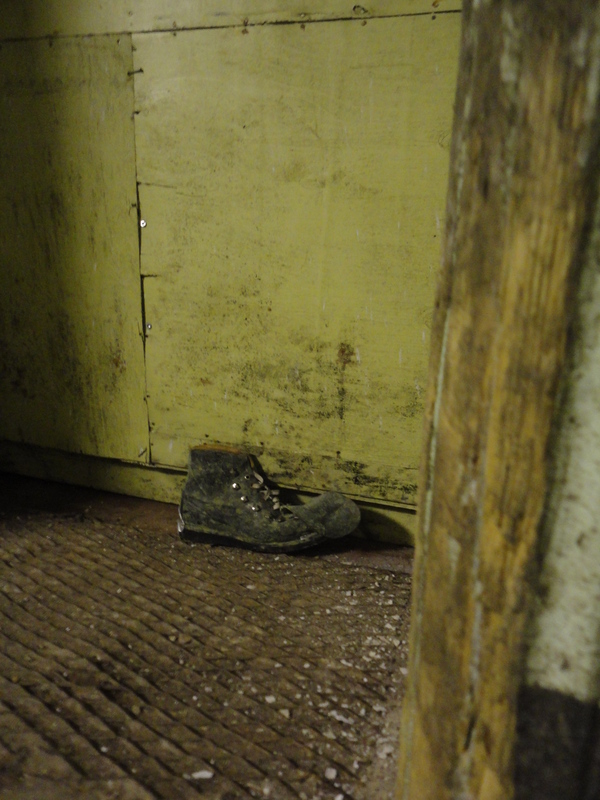 A solitary shoe can be a mighty unsettling thing. I desperately wanted to see flowers and happy things, but pretty things were few and far between at Patarei. 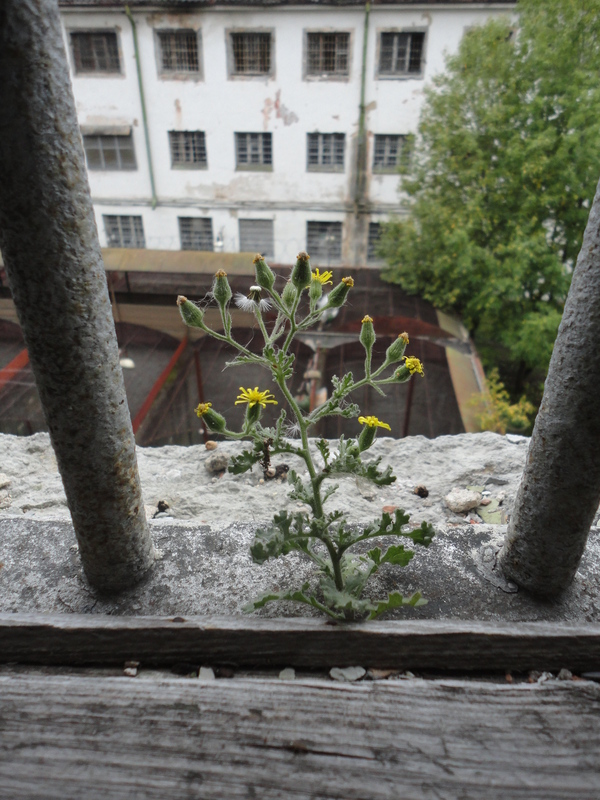 Some flowers, though, persevere in even the bleakest conditions. I have been staying in Tallinn, Estonia for the last few weeks. While here, I decided to go on the Lahemaa National Park tour. It was gorgeous. 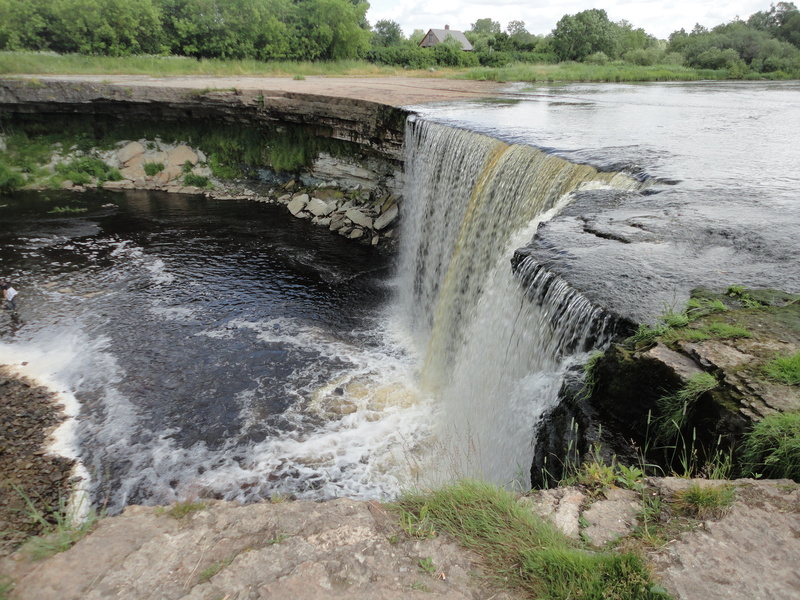 We started the afternoon by going to the largest waterfall in all of the Baltic countries. Interestingly, the water was very brown, because of the high amount of limestone in the area. Ultimately, the waterfall looks like a waterfall of beer, which is appropriate considering how much beer is consumed in Estonia. This is not, however, the place where they bottle the beer, as one person on the tour actually asked. Beer is not naturally occurring. Wouldn’t life be different if it were? I was also happy to continue to take pictures of trees and flowers. Two of my favorite things! 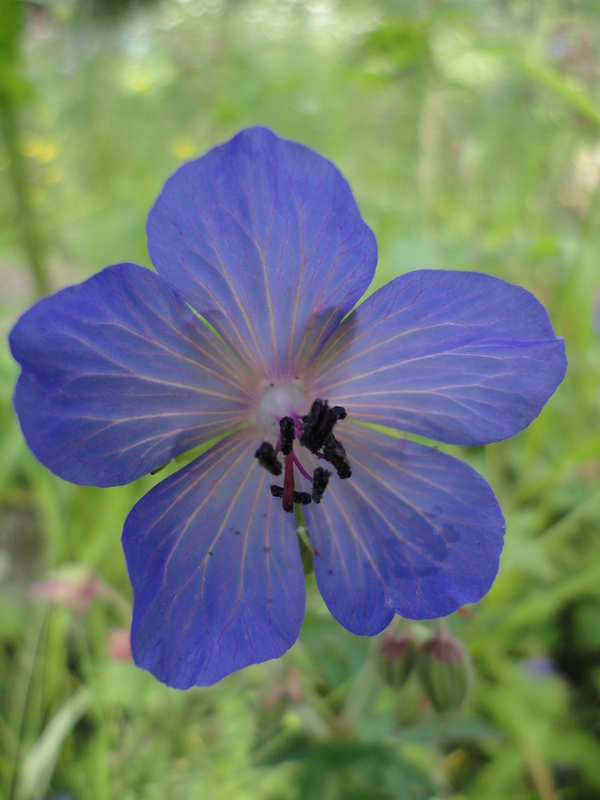 Wild geraniums were growing all over the place. I enjoyed taking pictures of them because while they looked purple in real life, they photographed blue. That’s always fun. 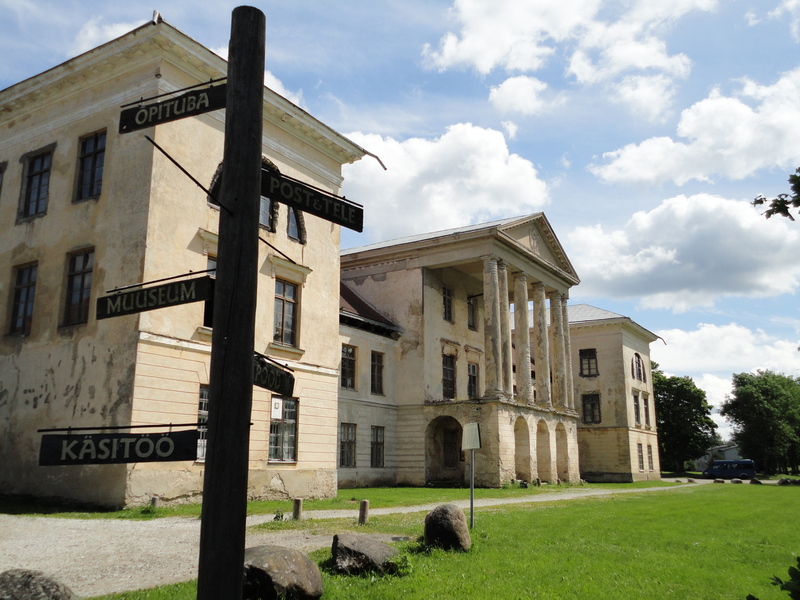 After the waterfall we went to visit one of the largest manor houses in Estonia. It was very run down, but it was just awesome. 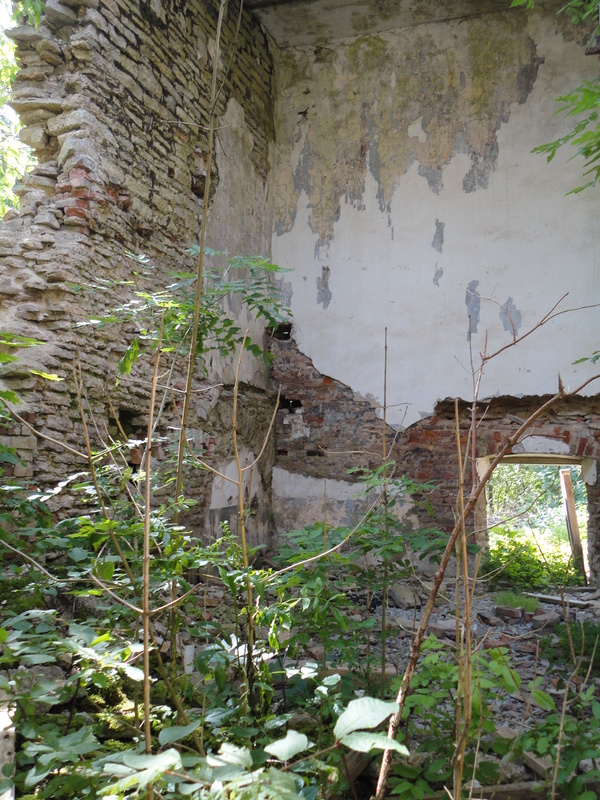 Interesting fact about Estonian manor houses? While many large houses around the world are built with wine cellars or some such, manor houses in Estonia are built with vodka distilleries. This is the main building of the house. The manor also housed the only grocery store in the town. The building was for sale, for the low low price of just one million euros. Everyone in the tour group pooled their money together but we were still roughly a million euros short. Sad. We could have had, not only a great house, but also control of all the food for an entire town. Whoa. Also, as part of the cost of buying the house, you have to renovate it. So that would probably need another four or five million. But you even get a vodka distillery! 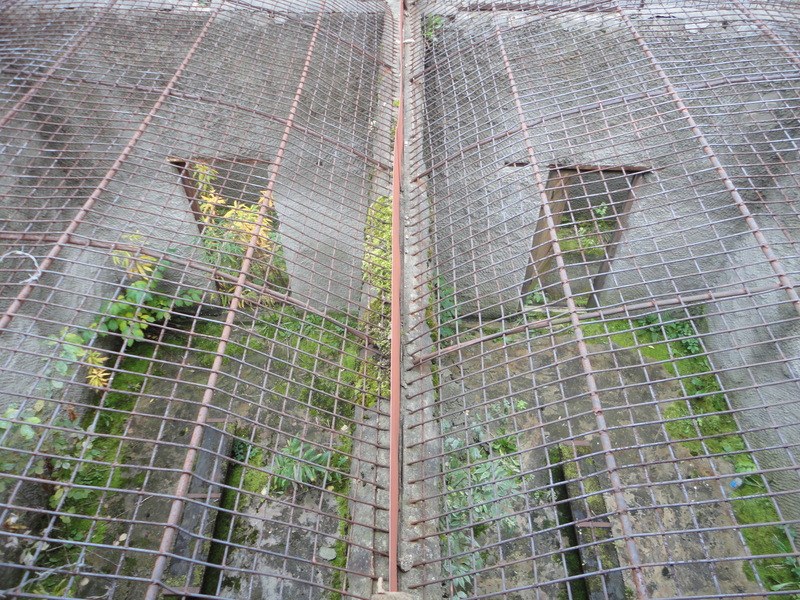 The distillery wasn’t in very good condition. From the manor we continued on to the swamp. Now, normally, swamp is not a word that gets me really excited to go visit a place. I picture a gross looking marshy bit with lots of mud. This wasn’t like that at all. It was one of the coolest parts of the trip, due in large part to having a research biologist in the group. She pointed out a ton of interesting things, carnivorous plants and interesting birds. It was a little like being on a high school field trip, but hey, a flashback is nice every once in awhile. 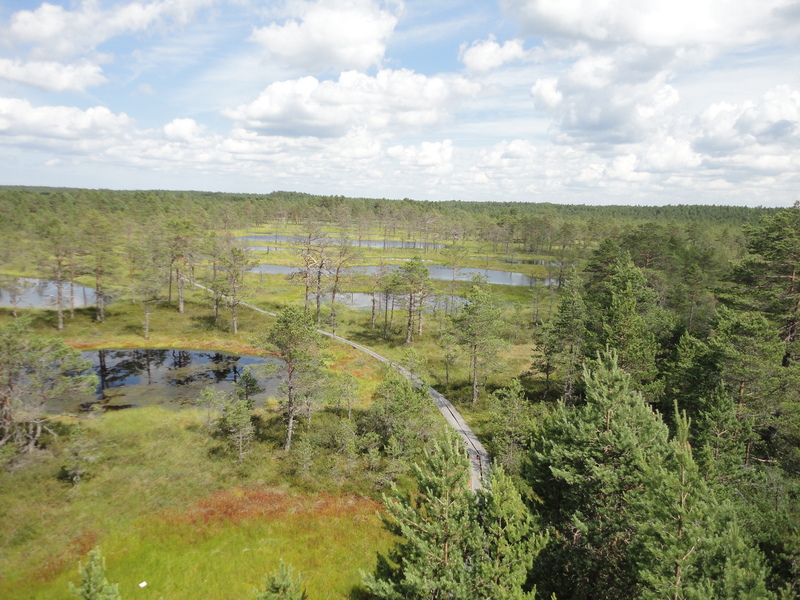 There was a tall observation tower in the swamp, which I did climb, but it was windy and I I’m afraid of heights, so I only took one picture before going back down. Too scared. We walked through the swamp for several kilometers, along a boardwalk. At one point we even stopped to go swimming. 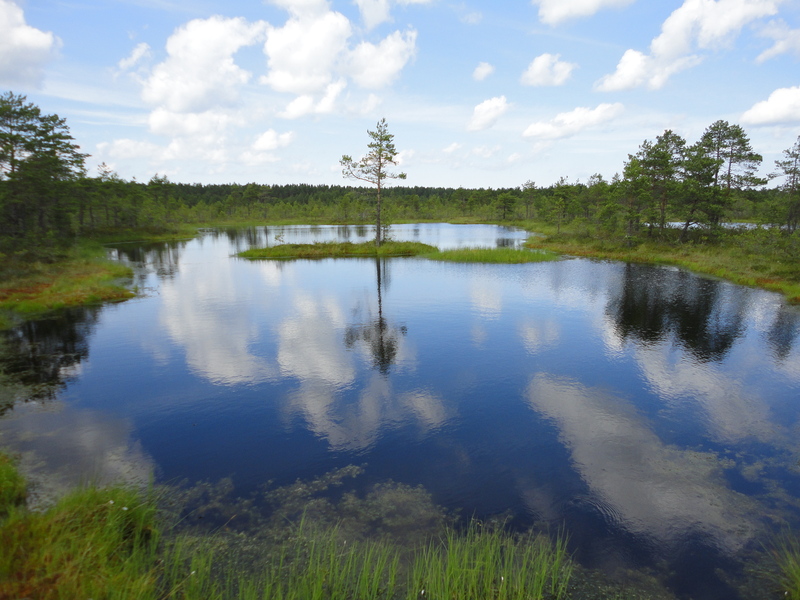 Swimming in an Estonian swamp. That wasn’t something I pictured myself doing. It was really pretty, however. And really, it changed my views on swamps forever. Our last stop on the trip was a beach sort of in the middle of nowhere. 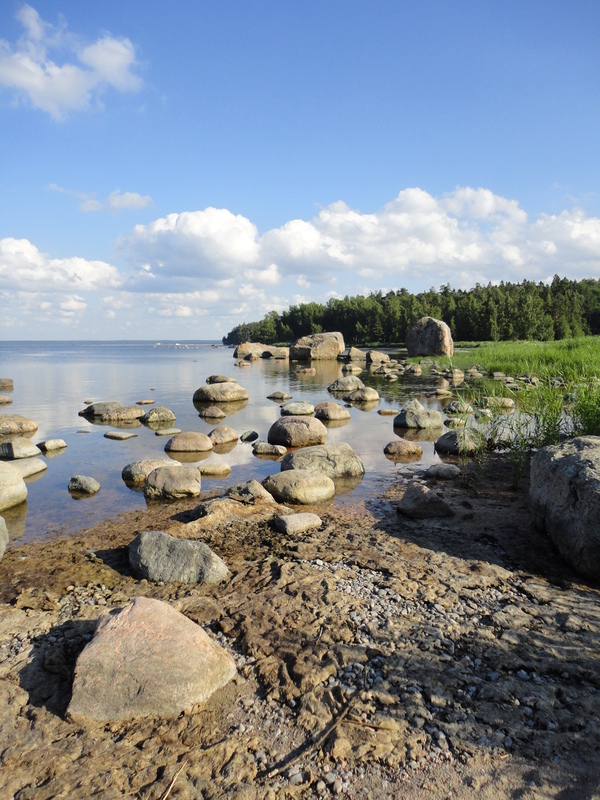 In Estonia, the water is very shallow. You can walk out pretty far, and still only be in water up to your knees. There are also a ton of boulders and large rocks. Makes great places to sit. The whole beach area was pretty deserted, so it was really calm and relaxing, even in the middle of summer. All in all, I had a wonderful trip in the national park. 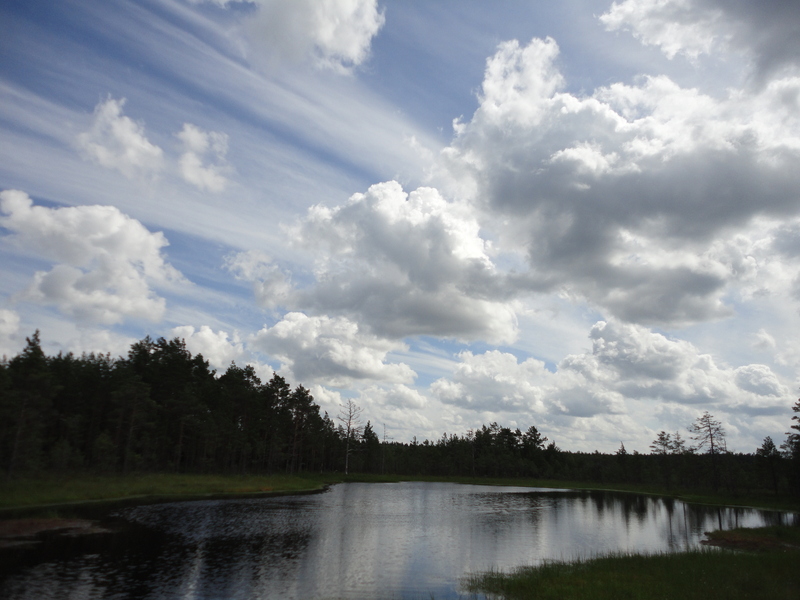 It was great to get out of the city (even if Tallinn is a pretty small city) for a little while and get back into nature. The biggest downside? The crazy Estonian mosquitoes. Seriously. I probably got about 30 mosquito bites in just the few hours that I was out there. Worth it though. Before embarking on this trip, I was unaware that the Euro Cup was happening this summer. 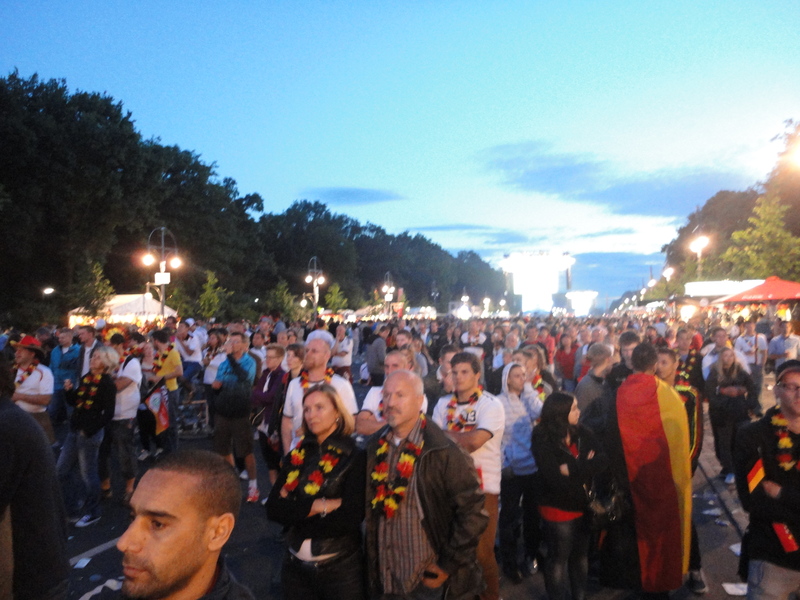 Happily, I ended up being able to watch several of the games outside in large crowds, on giant screens set up in parks. It was really a great experience. We don’t do much public viewing of sporting events in the US, so it was a new experience for me. My first game was Germany vs. Portugal. I watched at Brandenburg Gate in Berlin. They had quite the fan zone set up. You became an instant super fan. You walked through this corridor, and got a flower necklace in the colors of the German flag, they drew the German flag on your face, and gave you a fan to wave and use as a noise maker. You walk in an ordinary person, and walk out a super fan! Unfortunately, that was pretty much the only super thing about the experience in Berlin. I had really high expectations, especially considering the number of people that were there, but for the most part they just stood there. I was expecting a lot of chanting and cheering, but mostly it was just a lot of standing quietly and watching. Focusing. I was put into a bad mood by the crowd before the match even started because the entire crowd booed during Portugal’s national anthem. I think that’s really disrespectful, and goes against the entire spirit of the competition. It did change a bit once Germany took the lead, there was a little more cheering, but still it was a rather subdued crowd. 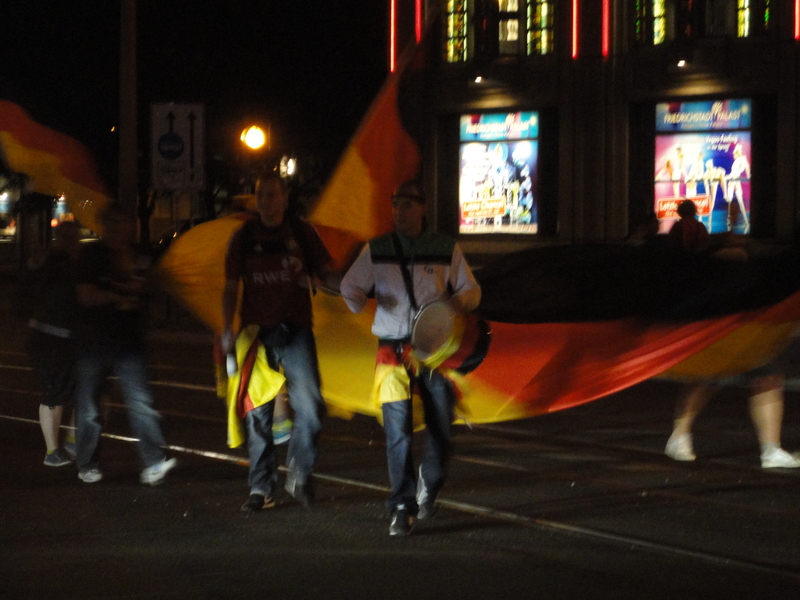 After they won, though, lots of drinking and partying ensued, including these guys walking down the middle of one of the main roads in Berlin. Walking into the area where the screen was set up, our group of Portuguese was stopped several times by Danish people saying they hoped it was a good game, and good luck, and other nice things. It was heartwarming. Once we got inside however, we got beer thrown at us, so it was short lived. But it was only one beer, and they missed, so all in all not so bad. The Danes though, they know how to party. 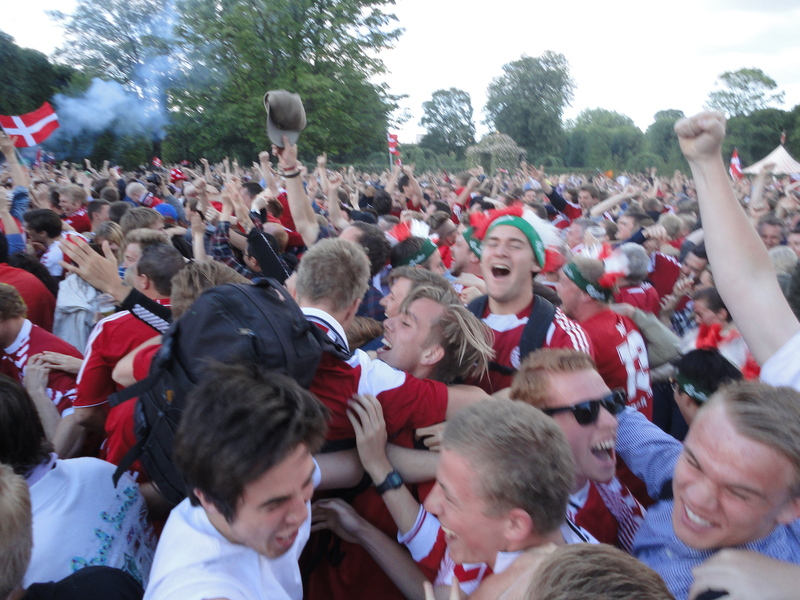 There was a lot of general chanting and cheering, but the place basically turned into a mosh pit when Denmark scored. 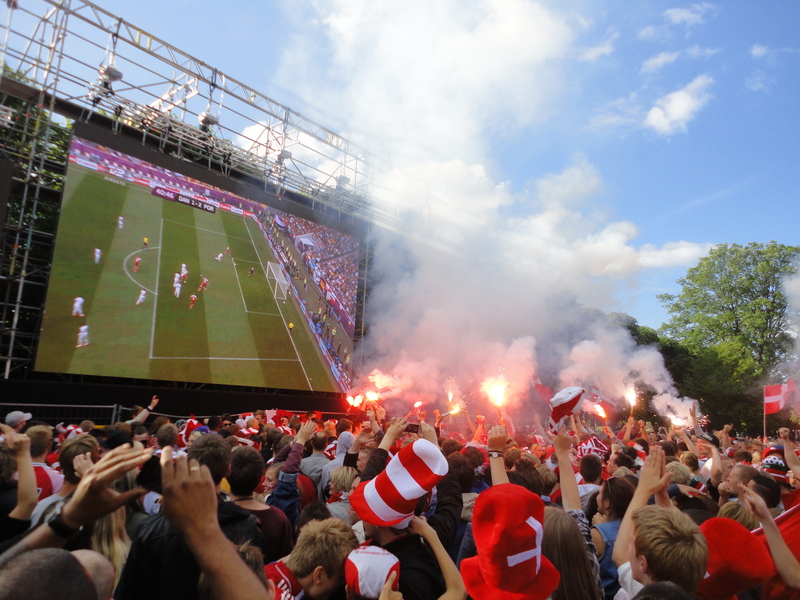 And every time Denmark scored, the flares were lit. Ultimately, the amount of smoke that they caused made it impossible to see, and therefore the flares were not popular with the people in the back. But it was fun. Unfortunately for Denmark, they lost. But it made our little Portuguese group very happy! From there I was on my way to Sweden. I tried to get to Stockholm to watch the Swedish match against England, but I ended up watching it in Malmö. The crowd was sitting. Sitting! They did however all bring picnic blankets and full on picnic spreads. Wine with actual wine glasses, and spreads of well prepared food. My friends and I were sitting on the ground drinking the cheapest beer we could buy at the grocery store. It was warm. Tourists. The game was probably the most exciting of all the games I watched. England won 3-2, but the score was going back and forth all game. By the end of it, everyone was standing and screaming, but to no avail. 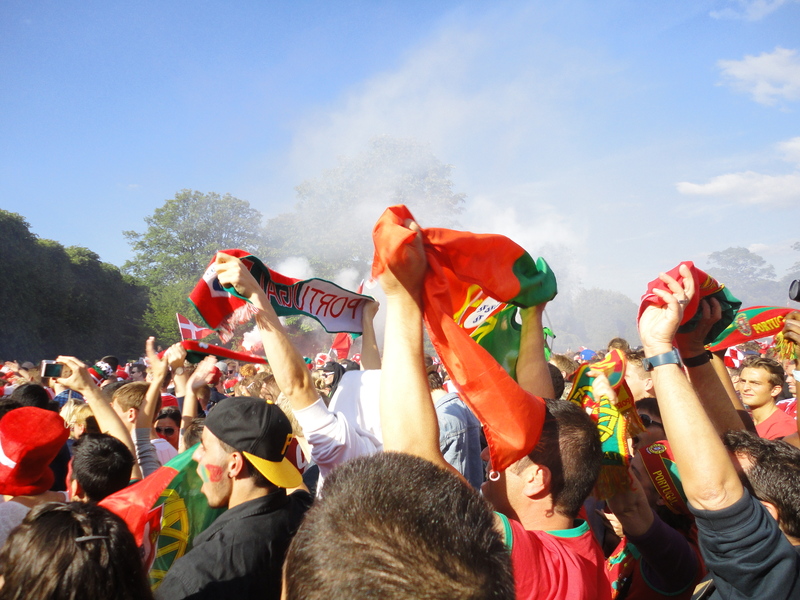 I was already in Tallinn when the Euro Cup final happened. I thought I was going to be watching the game in a bar somewhere. 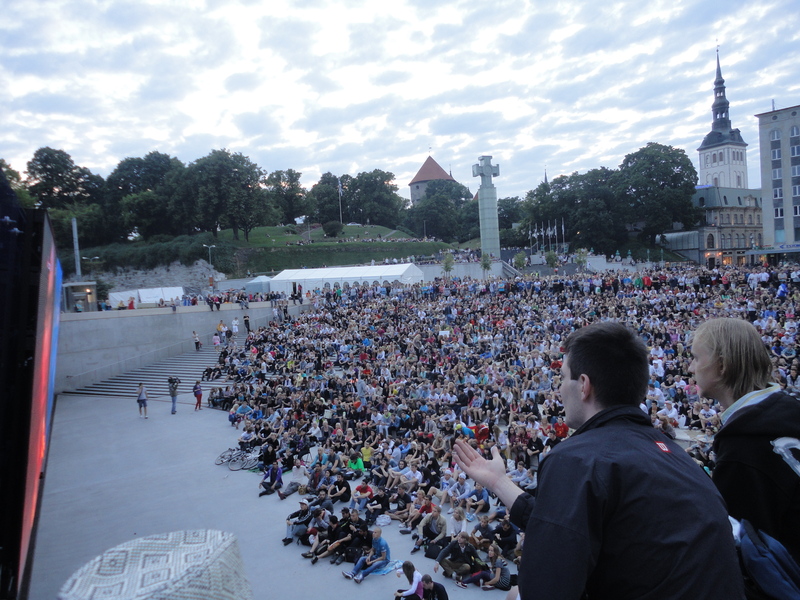 But, lucky for me I was in Tallinn, actually, because all the other cities that I watched the games at only showed their country’s games on the large outdoor screens. 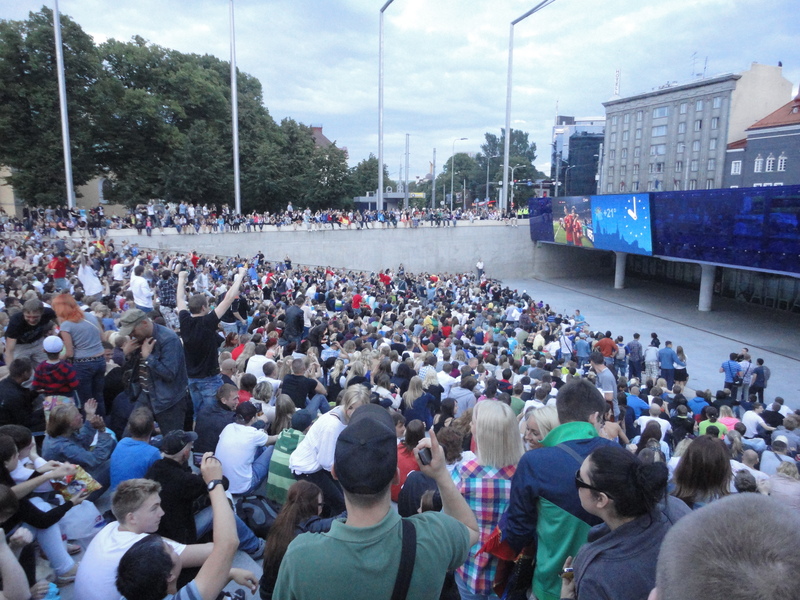 Because Tallinn has a large permanent screen in Freedom Square, they had been showing all the games. I watch the Euro Cup final there with a huge crowd. 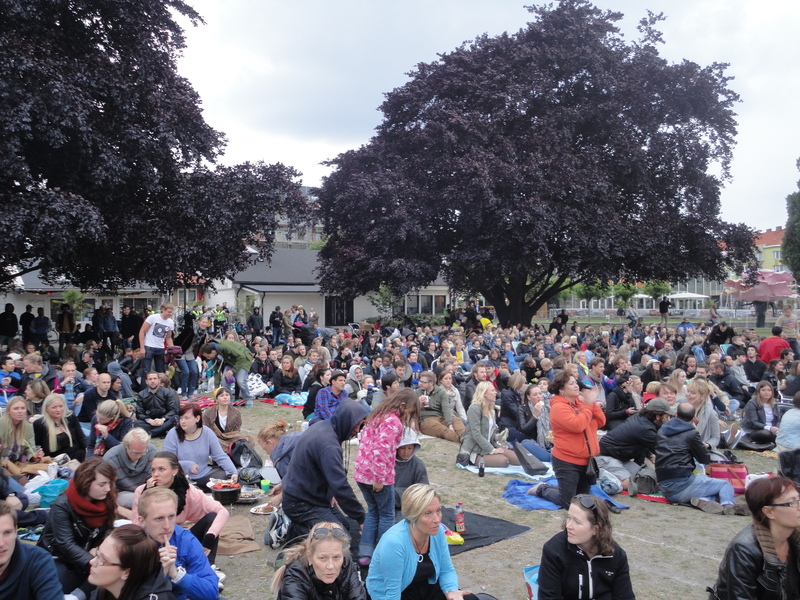 I was really surprised at how many people were there, especially considering Estonia wasn’t playing. There were two drummers leading the cheering. One for Italy, and one for Spain. However, the chants were drum drum drum I-tal-li-a… and drum drum drum Es-pan-i-a, so everyone cheered at the same time. Different words. 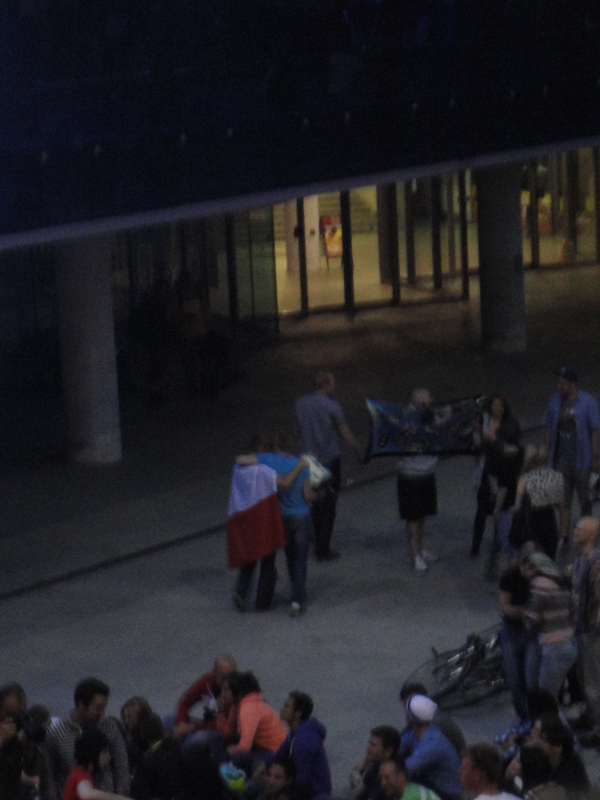 At the end of the game, both drummers hugged, and I felt like that really embodied the spirit of the Euro cup. Lots of fun. No regulation on bringing drinks, so everyone was partying, and shockingly, because the game was so lopsided, everyone stayed until the very end. With most people staying to watch the trophy presentation and everything. I would also like to point out that this picture was taken at exactly 10pm Estonian time. Please note the sunshine. Tallinn is far north, land of the midnight sun and all. Great fun! The sun sets at about 11 or 11:30, and rises again around 3am… but the sky never gets quite dark. Always a gray or rose color. It makes it extremely difficult to tell time at night, but it’s really fun.